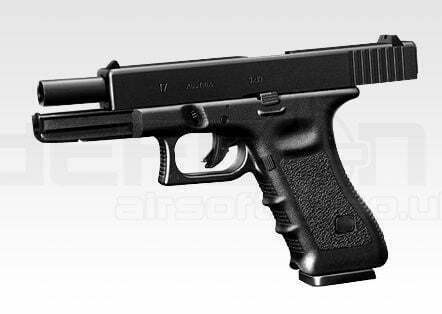 This is a replica of the world famous model 17 pistol made by Tokyo Marui and is compatible with many after market spares, accessories and upgrades. 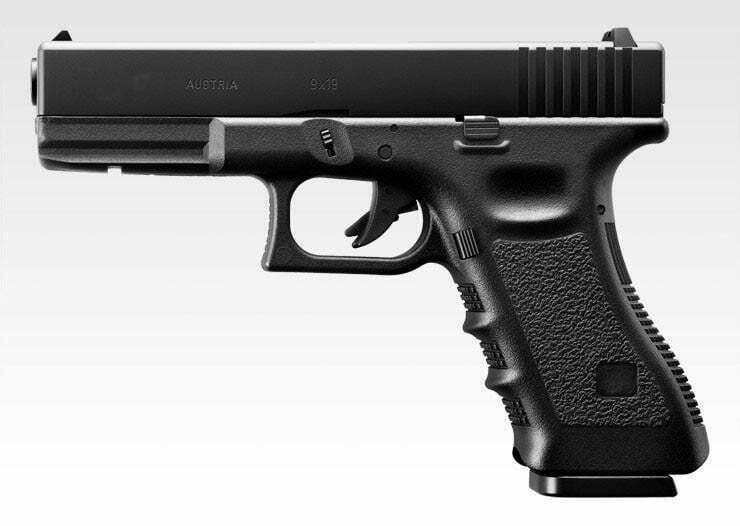 The Tokyo Marui Model 17 3rd Gen. offers decent power and astonishing accuracy out of the box. 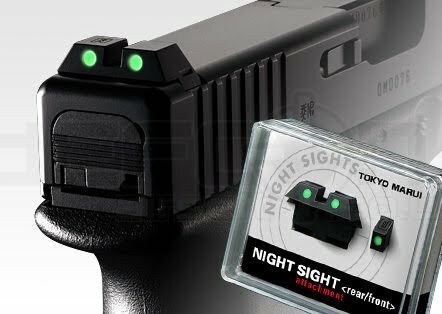 The Tokyo Marui Model 17 Gen3 Pistol has a 25 round capacity magazine and comes with replacement glow in the dark sights for those night games. Tokyo Marui has mastered gas blowback pistols in terms of pure performance with this pistol. 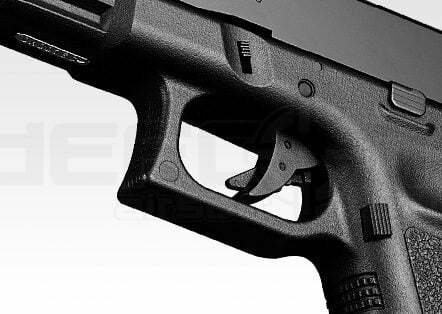 Blowback recoil strength, shooting accuracy and mechanism reliability are all undeniably among the best in market, this is an advanced airsoft gas blowback pistol that comes with surprisingly affordable price tag.